How would you like to wear lusciousness on you? That was exactly how I felt after trying Jimmy Choo's latest fragrance Exotic, and now you can. Attending the recent launch party at Paragon, my fellow bloggers enjoyed a lovely Sunday afternoon of pampering and learning more about the rich ingredients that attribute to the resulting rich scent notes. 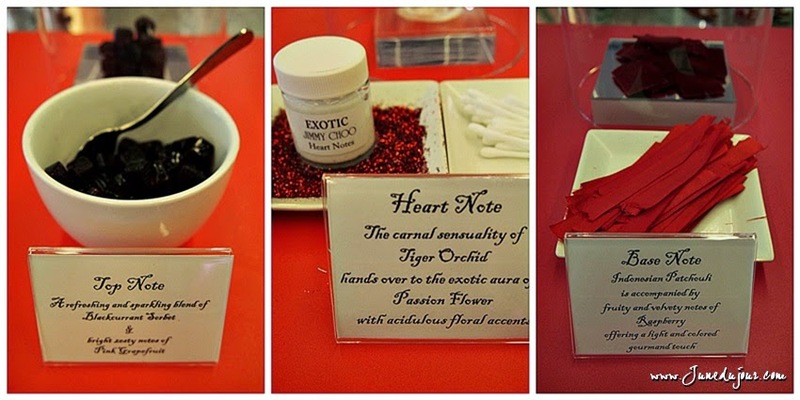 Walking through the ingredients behind the Exotic perfume, was our host Lillian, one of Luxeasia's senior trainers. The Eau de Toilette's top notes was well, an exotic blend of blackcurrant sorbet and pink grapefruit, to give it that fresh burst of fruitiness; before transitioning to its heart notes of tiger lilies and passion flower for a sweet, floral twist. At the end, you can detect the slightest velvety notes of the indonesian patchouli and raspberry. The whole theme of the launch was really cute by the way, with canapes that were of the same colour: choose from meatballs, macarons or cake-pops, and a manicure corner to have your nails done in a snake-skin motif in reference to the box's packaging. Luxeasia never fails to have the most amazing and creative product launches ever! Not only looks great, taste was amazing! 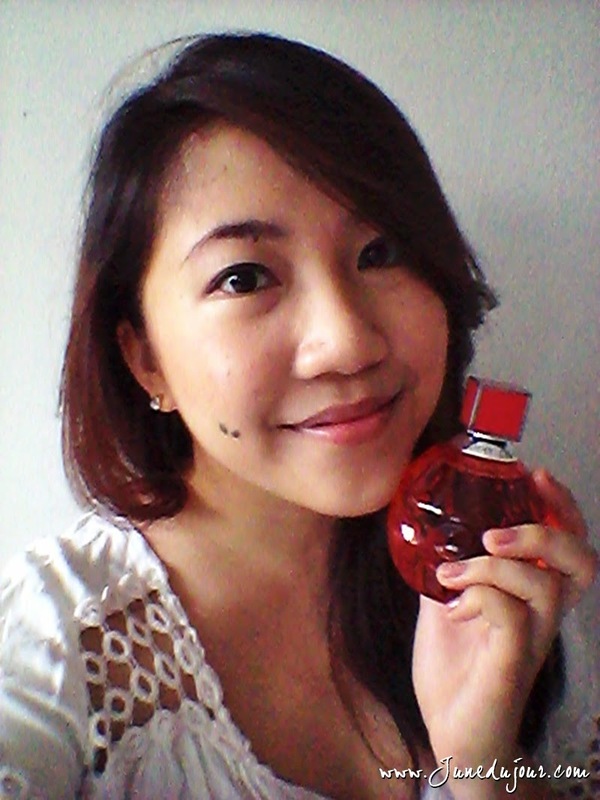 Review: The bottle is rather unique looking: with a rounded, walnut-looking bottle in a striking shade of coral and comes with a small squarish cap (which, I felt looked a little awkward given the size). Interesting to note, is the box packaging; where it was meticulously modelled after a real snake skin to achieve that gorgeous image. To the touch, you can actually feel the embossing of the scales when you run your fingers over it, much like a real snakeskin. Tres cool! First impressions after an intial spritz; I found the scent to be a tad strong for me, as I'm more inclined to floral than fruity scents, but liked it better once the scent gradually mellows to middle and low notes. Still its a vibrant fragrance that I would definitely wear to make a memorable first impression. This is a pretty lasting scent, lasting almost 4-5 hours with it fading only very slightly. Jimmy Choo Exotic retails exclusively at Metro Paragon, the Eau De Toilette 100ml priced at S$145, and 60 ml at S$112. Truly, a scent that speaks for itself. 2) Like and share this Facebook post on your wall, tag as many friends as you in the comments section. Do leave your instagram name as well so I can track. 3) Contest ends on 30 April 2014, and one winner will be picked at random. Good luck! **Contest is open to Singapore residents only.